Eddie Redmayne won the Oscar for “The Theory of Everything,” thanks to his ability to breathe life into characters who fall outside the margins. In “The Danish Girl,” he plays painter Einar Wegener, one of the first known transgender patients. As the story begins, the Wegeners (lovely Alicia Vikander plays his wife) work and live together in a happy marriage. Both paint; and when Gerda Wegener’s ballerina model doesn’t show up, she asks her husband to don stockings & a dress and pose as a stand-in. Wearing women’s clothes touches something deep inside Einar. This early scene of Redmayne discovering his feminine side sets the film in motion. Redmayne produces two other “big” scenes, allowing him to transform from male to female right before our eyes. It’s amazing work from an amazing actor. Every frame of “The Danish Girl” looks like a painting; but often, beauty overpowers. The story unfolds in extreme slow motion. Einar Wegener assumes the identity of a female, introduced as his cousin “Lily.” His transformation unleashes a new creative spirit in both him and his wife. Her paintings of her husband as “Lily” gain attention and notoriety. With his wife’s blessing, Einar submits to gender realignment. I suspect the surgery was much more drastic and even more painful than the movie indicates. 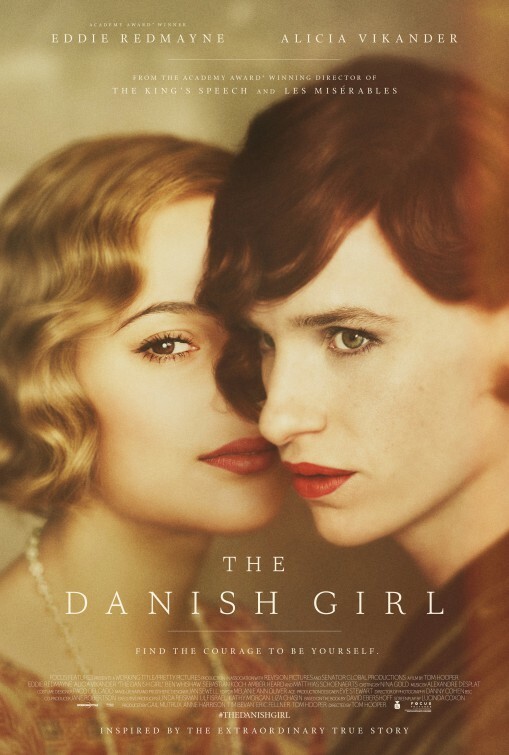 I also suspect “The Danish Girl” glosses over many of the messier details. Does it deliver what it promises? Transgender as fine art. Is it entertaining? Chilly and cold. Is it worth the price of admission? Some beautiful moments, but not quite as great as intended.